One of the world's best hot hatches will once again not be coming to the U.S. According to a report from UK website Autocar, Honda has just approved for production the next generation Civic Type R. As with previous generations of this hot hatch, there are currently no plans to bring it to the U.S. And that&apos;s a real shame because it&apos;s being claimed the new car will be powered by a new 2.0-liter turbocharged four-cylinder courtesy of Mugen. 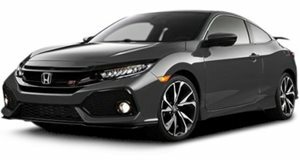 For comparison, the previous generation Type R was powered by a naturally-aspirated 2.0-liter VTEC engine. However, Honda was forced to discontinue both the car and engine due to the fact that it no longer complied with European emissions regulations. Details about the new car&apos;s engine are still a bit sketchy at the moment, but it&apos;s possible that a Mugen-developed 2.0-liter turbocharged four-pot with around 210 horsepower could end up under the hood. Other rumors state the new Type R will have a six-speed manual transmission as well as a start/stop system. More details will be announced by Honda at the Paris Motor Show in September, but the car itself likely won&apos;t debut until the Geneva Motor Show next March.